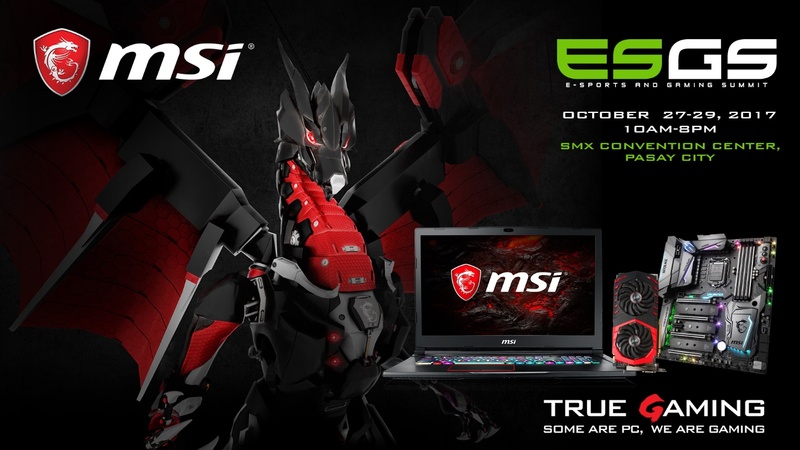 Micro-star International or MSI, the world’s best-selling gaming laptop brand, is one of the sponsors and exhibitors in the ESGS Event this October 27-29, 2017 at the SMX Convention Center. During the 3-day event, MSI will be having a sale of your favorite MSI Notebooks plus some fun and exciting activities you can actually join. Here are the activities to look out for in the ESGS MSI Booth. For schedule and models for auction, visit MSI Booth for more details. Non-winners of the auction will still have the chance to get awesome discounts and prizes from MSI. Names from the first six (6) non-winning participants who registered in the auction will be raffled to get the chance to spin the Lucky wheel. Only 1 winner will be drawn. First 15 visitors in the MSI Booth per day will get the chance to win up to 30% OFF of discount voucher. Redemption can only be made on the day the voucher was received. Enjoy exclusive discounts when you visit MSI booth in ESGS 2017!